Perfect Laser integrates high-quality resources at home and abroad, combined with the company's strict production technology standards, to R&D this new gantry-type three-axis water jet cutting machine PEG-4020 with high precision and stable performance, the operation is safe and efficient. 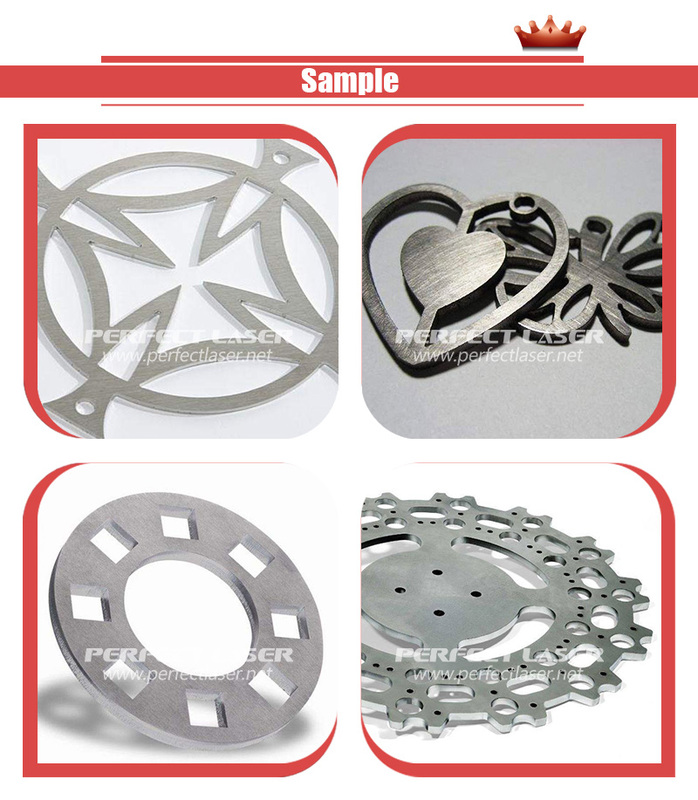 The aluminum beam used in the high pressure water cutting machines is a one-time extruded aluminum alloy, which not only ensures a more stable operation of the cnc water cutter machine tool, but also makes the faster cutting blade speed and the better cutting effect of this cnc water cutter, to meet users' requirements for all kinds of carbon steel, manganese steel, stainless steel and other metal materials’ large, medium and small steel cutting. 1. The aluminum beams uses the one-time extrusion aluminum alloy material. The weight of the water jet cutting machine is light and with high rigidity, to ensure a more stable machine tool, and the cutting blade speed of the cnc water cutter is faster. 2. The high pressure water cutting machines adopt imported servo motor with accurate positioning and stable operation, the cutting accuracy of the water jet cutting machine is very high. 3. Special protective cover design of the water jet cutter can effectively prevent water and sand, make the cnc water cutter more durable. 4. The water jet cutter adopts Taiwan imported high-quality rolling guide and ball screw, enabling gapless movement, to ensure that parts of higher accuracy. 5. Adopt the new type cutting head, the structure of the high pressure water cutting machines is designed reasonably to ensure the concentricity between the gem nozzle and the mixed sand tube so as to make the cutting ability stronger and prolong the service life of the sand tube. 6. The cnc water cutter is equipped with standard WINDOWS 7 operating system, easy to learn and with high stability. 7. With self-diagnostic capabilities to ensure high safety and reliability of the water jet cutting machine. Application Materials: This water jet cutter is widely used in stainless Steel, Aluminum, Copper, Steel, Marble, Alloy Metal, Glass, Plastic, Ceramic, Tile, etc. 1. ceramic, stone and other building materials processing. 2. Glass products processing, such as home appliances glass parts cutting, construction and decoration, glass craft. 3. Machinery industry, sheet metal cutting stock. 4. Advertising signs, artistic pattern cutting.